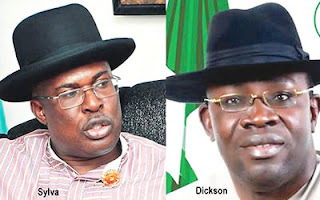 While political parties await a new date for a fresh election in Southern Ijaw, the Peoples Democratic Party (PDP) yesterday asked the Independent National Electoral Commission (INEC) to disqualify the candidate of the All Progressives Congress (APC) in the Bayelsa governorship election, Chief Timipre Sylva, for allegedly announcing fake results. The PDP also cautioned the APC-controlled Federal Government against alleged moves to forcibly declare its party winner of the polls against the wishes of the people. The warning is coming amid the anxiety that the Resident Electoral Commissioner, (REC) Mr. Baritor Kpagih, has been missing from his office for about three days. Addressing journalists at the PDP national secretariat in Abuja, the national chairman of the party, Uche Secondus, alleged that Sylva had announced that he knew the true results of the election in Southern Ijaw Council in breach of the Electoral Act which empowered only INEC to announce results. Secondus stated that the PDP ‎"is full of thanks to the women and the youth of Bayelsa State especially the Southern Ijaw youths who rose to the occasion and resisted intimidation to hijack materials by hoodlums. “We were told that security agencies came with armoured cars and harassed, intimidated the people.‎ On confirmation of this report, INEC cancelled that Southern Ijaw elections. “Southern Ijaw is a PDP stronghold for 16 years, so there couldn’t have been any magic overnight to change the will of the people. "We believe the election has been won already and the governor and the good people of Bayelsa state have spoken.Therefore, INEC and the security agencies must respect the will of the people. “They must not come to Bayelsa as they did in Kogi to manipulate to give one of their supporters the state for the sake of running one party state. They must avoid what can truncate democracy. A statement from the office of the Chief Press Secretary to the Bayelsa State Governor, about 48 hours after the cancellation of the Southern Ijaw polls said the whereabouts of the REC, were unknown.